It’s true: working from the comfort of your home may be an idyllic scenario for those who are self-employed, or for online entrepreneurs running a small business with only a handful of remote employees. Depending on where you live, a home office can also spare you the time, expense and hassle of a commute. However, it’s also true that working from home has its drawbacks — and many more than you might expect, if not already experienced. Here, we explore why you should move your office from your home to an alternative office space, such as a shared, traditional (private or semi-private), or coworking space — or at the very least, consider renting a virtual office. When discussing their decision to move their business from a home office to a private or semi-private, coworking or shared office space, many entrepreneurs cite loneliness and isolation, others the insidious ease of being unproductive during the work day, and still others the optics of seeming unprofessional. All are valid points, and there are several more practical challenges of working from home. Ironically, among them are being distracted by family members or friends who presume you’re available during the work day, and infringements on your privacy by the everyday disruptions of a household. Then there’s the (happy) scenario that your business has simply outgrown your home office and you find that you need professional administrative support and services such as a receptionist to answer calls and greet clients, and access to meeting rooms. Of course, for those content with working from home and see no need to move their operations to a business centre, but still understand the advantages of having a professional business address, mail forwarding and phone answering service, there’s always the option of a virtual office rental. Let’s take a closer look at your alternative office space choices. 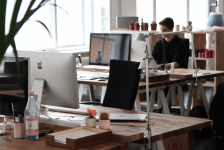 Small businesses, entrepreneurs, and even large organizations are increasingly embracing the alternative of sharing office space in a local business centre rather than getting locked into a traditional, commercial office lease. In doing so, they can substantially reduce their fixed overhead costs while reaping the benefits of a fully furnished, serviced office that provides administrative support, business equipment and advanced technologies, as we do at Telsec Business Centre. Coworking office space is an alternative solution that evolved from shared office space. It is favored by entrepreneurs and SME business owners who seek a sense of community in addition to lower overhead and operational costs. It is also valued by corporations that prefer the open concept team space office design for employee collaboration on projects. In turn, a hybrid of coworking space, flexible workspace, which offers serviced office space with practical amenities like administrative support, has become popular among entrepreneurs and businesses of all sizes that want the flexibility to pay only for the space and services they use in any given period of time. 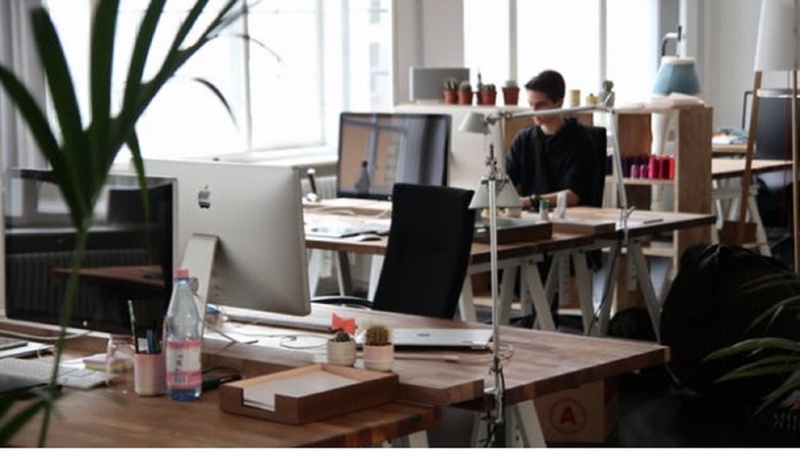 Flexible workspace has also introduced changes in the coworking open office space design, so those preferring some privacy can work without distraction yet still be a part of a community. Telsec Business Centre offers a number of options for coworking office space that includes telecommunication and advanced technologies, mail, reception, and administrative services, as well as access to office equipment, kitchen facilities and meeting rooms designed for a variety of purposes. For those who place a premium on privacy, renting a private or semi-private business centre office is a cost-effective solution. Executive suites leased from a business centre offers all the amenities, services and administrative support of a traditional commercial office without the expense of lease-hold and infrastructure installation, furnishings and equipment. At Telsec Business Centre, we offer fully serviced private and semi-private offices with flexible rental terms that allow for additional space to be used for meetings and conferences, without the extra expense. A virtual office is the perfect solution for those who want to work out of their home while maintaining a professional image and reaping the efficiencies of the administrative services and support of a traditional office. By contracting a virtual office service, entrepreneurs and business owners can use a reputable business address regardless of their actual location. Besides mail service from a professional business address, virtual office administrative support generally includes telephone answering, voice mail and fax services. Telsec Business Centre offers the most prestigious business address not only in Toronto (1 Yonge Street), but Ottawa, Vancouver, New York, LA and London. We go a step further than most with our VoIP service, which allows you to operate from home (or anywhere in the world!) while your outgoing calls display as your business centre office. At Telsec Business Centre, we provide many low-cost options for alternative office space, from private and semi-private executive suites to turn-key shared, team and coworking spaces, as well as premium virtual office solutions. Besides being affordable, our office space leasing options are flexible so you can rent space according to your needs, whether by the month, day, or even half-day or hour! We provide full administrative services and support, including amenities such as office furnishings and equipment, telecommunication services and advanced technologies, reception service, and kitchen facilities. All of our office space options include access to boardrooms, meeting rooms and conference rooms at no additional cost, as well as discounted rooms for training and seminars. We also throw in complimentary coffee and tea, and a warm welcome to your clients and colleagues with our personalized reception service! Can you use a Bitcoin to Rent Office Space Toronto? Will Flexible Workspaces Disrupt the Traditional Satellite and Branch Office Markets?